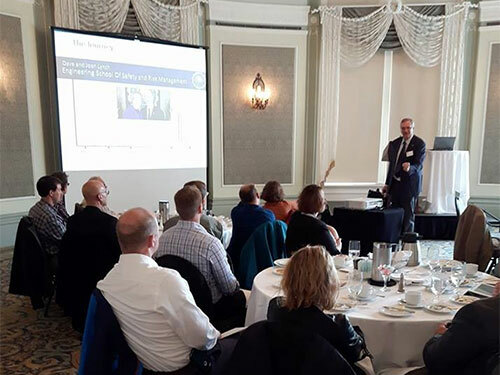 The Edmonton branch wants to thank Gord Winkel again for providing such an entertaining and thoughtful luncheon. He truly is a champion for engineering safety and risk management. The topic served as a reminder to our profession's continued efforts to maintaining public safety and that this duty never ends. The Edmonton Branch would like to thank their tour guide Sam Johnson, Project Manager with Graham, along with Graham, Dialog Design and the City of Edmonton for offering APEGA Members a sneak peek tour of the full MRVA project. Tours were held on August 25 and September 8 followed by a social mixer invitation.